TOUR DESCRIPTION: The Blue Skies of Oahu tour offers an experience of the island's hidden rainforests, lush valley areas such as Nuuanu Valley and Sacred Falls, and beaches. You'll glide over the reefs of Waikiki and the extinct Diamond Head volcano. 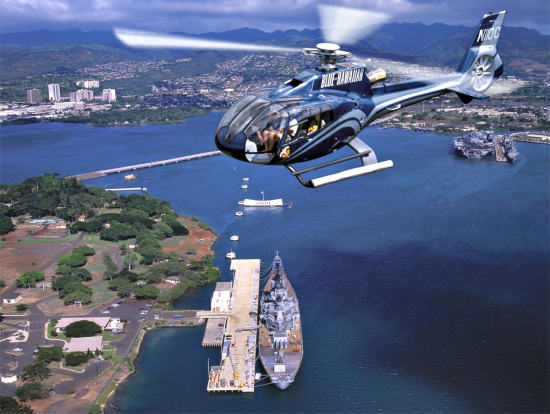 You'll soar over Hanauma Bay, Waimanalo Beach, Chinaman's Hat, and Kaneohe Bay, and also take an aerial adventure over Pearl Harbor, the Arizona Memorial, and the Battleship Missouri.